Back in June, we were treated to an inspiring “Novena of Quotes” from St. Anthony of Padua. They were the words of a holy priest, a prayerful friar, a truly amazing man. As great as he is, though, that St. Anthony is not the only St. Anthony. In fact, you have St. Anthony Dainan, St. Anthony Daniel, St. Anthony Daveluy, St. Anthony Dich Nguyen, St. Anthony Ishida, St. Anthony Kauleas, St. Anthony Kim Son-u, St. Anthony Mary Claret, St. Anthony Mary Gianelli, St. Anthony Mary Pucci, St. Anthony Mary Zaccaria, St. Anthony Nam-Quynh, St. Anthony of Saxony, St. Anthony Pechersky, St. Anthony Peter Dich, St. Anthony Primaldi… just to name a few. As the Church prays today, however, there’s actually another St. Anthony who gets our focus because, each January 17, we remember and celebrate an Anthony whose discipline, perseverance, and faith have for centuries inspired people around the world. That man is St. Anthony the Great. Also known as Anthony the Abbot, Anthony of Egypt, and Anthony of the Desert, this St. Anthony was a fourth-century Egyptian who eschewed his possessions, moved into the desert, and became the “Father of All Monks.” The stories surrounding St. Anthony’s life, found in the writings of St. Athanasius and the tales of the Golden Legend, tell of a tireless ascetic who spent a lifetime cultivating his faith and battling against the evils of Satan. 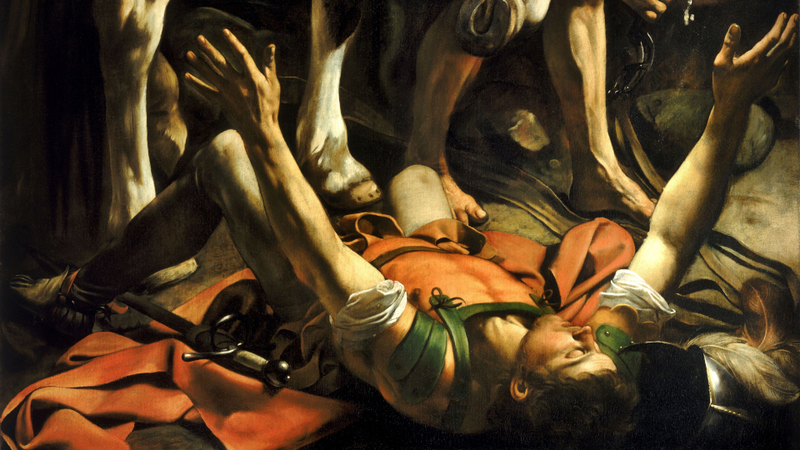 Born in 251 AD, Anthony was part of a wealthy family but also became a man of spiritual devotion. His parents died when he was still young, but instead of using his inheritance to live a disinterested life of ease, he continued looking to God. In church at around age 20, he heard the words, “If you wish to be perfect, go, sell what you have and give to the poor, and you will have treasure in heaven. Then come, follow me” (Matthew 19:21). He decided to follow. Giving away his property, Anthony went out, seeking the inspiration of other nearby ascetics and hermits and eventually moving into the desert on his own to begin a life of poverty, solitude, and peaceful prayer. That was the intention at least. 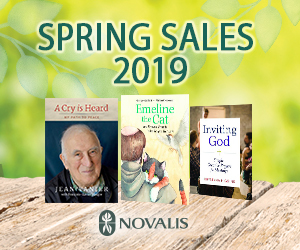 The writings of Athanasius say that from the beginning of this new life, Anthony endured incredible spiritual struggles, literally fighting off the temptations and assaults of demons. The stories of these battles are often incredible. From being attacked by demonic “lions, bears, leopards, bulls, serpents, asps, scorpions, and wolves” (Life of St. Anthony, Athanasius, 9) to finding a “great multitude of devils, that so much beat him” nearly to death (“Of the Life of St. Anthony,” Golden Legend), the attacks were extraordinary encounters of physical and spiritual toil. In addition, while Anthony did spend some years in seclusion and solitude, the lifestyle and holiness that he adopted progressively led many to seek him out for healing, teaching, and counsel. He became an example of faith for those around him, a forerunner in how to dramatically dedicate yourself to God in everything. 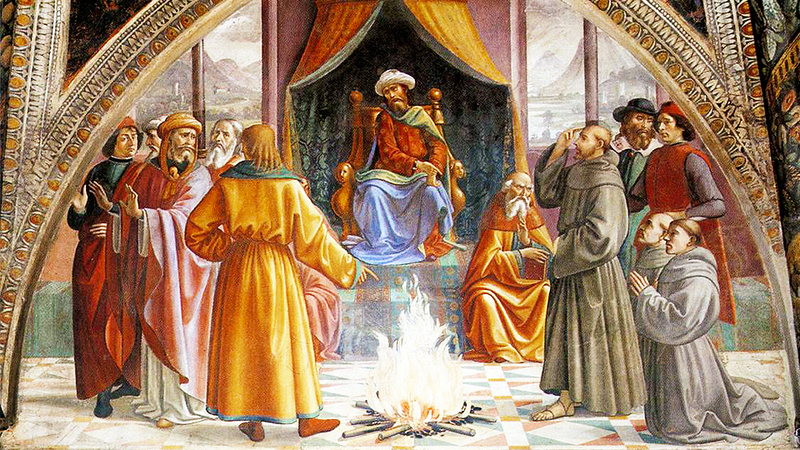 The people came and in time even convinced St. Anthony to found a community that would develop into the renowned collection of hermits, ascetics, and monks often called the “Desert Fathers”. Through all of it, Anthony held on to the faith that had led him toward this radical ascetic lifestyle in the first place. No matter what distractions or temptations were placed in his way, he kept himself focused on the Lord. 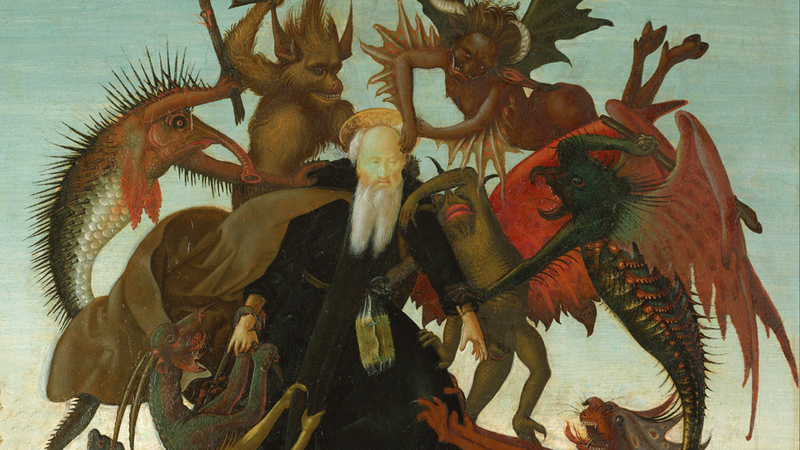 When many others would have given up or shifted to a different path, St. Anthony endured. It is that kind of endurance of faith and prayer that we can strive to emulate in our lives today. Though it’s unlikely that many of us will drop everything to move out into the Egyptian desert, the persistence that Anthony showed throughout his life is certainly something to learn from and try to adopt. We, too, are met with countless distractions in the busyness of our lives. We, too, are hit by challenging temptations each and every day. How do we respond? When the devil tries to creep his way between us and God, do we merely submit and surrender, or do we have the strength, the persistence, and the faith to fight against him? 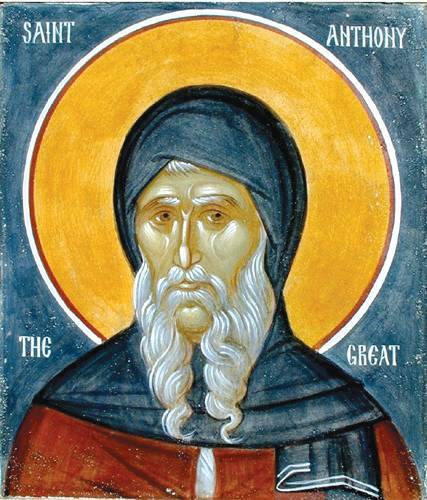 Following a long, courageous, and often unexpected journey, St. Anthony the Great is said to have died at age 105. After a lifetime of ordeal, his final moments were spent reflecting not on those difficulties but on the strength of our Lord. “Ever breathe Christ,” he told all who were there, “and trust Him” (Life of St. Anthony, Athanasius, 91). St. Anthony had hoped to go off and be alone with God, nurturing his own faith. 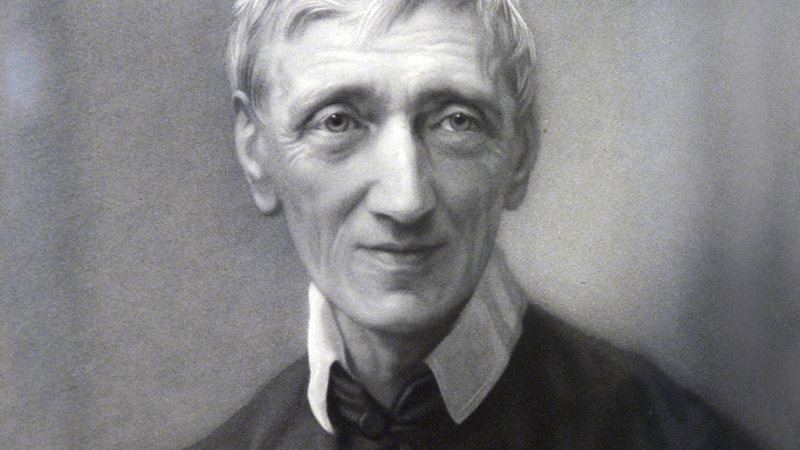 Instead, he became an example for so many, nurturing the faith of the Church and the world.